Last month, we were at a meeting with the Forest Service and American Forest Resources Council, a timber industry lobby group, in which the timber lobbyist insisted that “everyone knows fire is the biggest source of carbon pollution,” and concluded that more logging is needed to reduce the threats of climate change. He’s wrong. 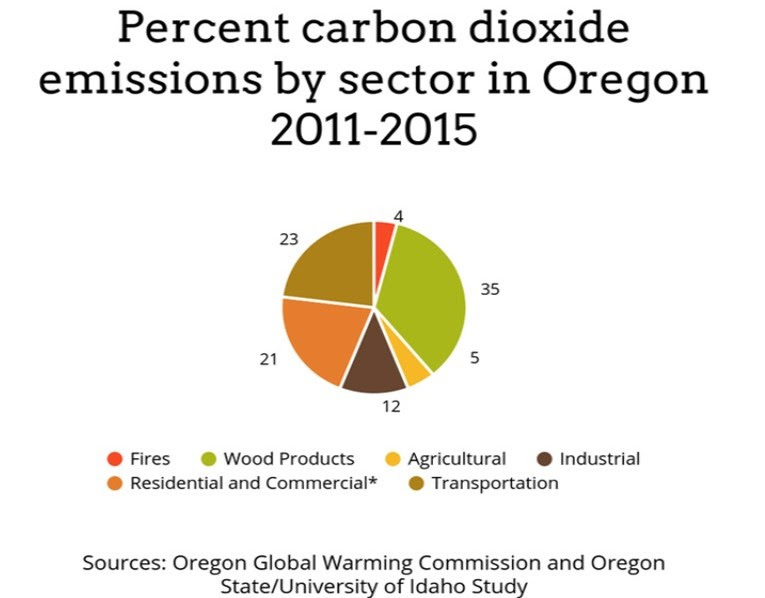 A recent OSU study found that the wood products industry is the largest contributer to carbon pollution in Oregon because of emissions resulting from fuel used by logging equipment, hauling timber, milling, wood burned during forestry activities, and the ongoing decomposition of cut trees. In contrast, emissions from fires contribute a small percent of the state’s carbon pollution. Large scale commercial logging is a newcomer to this land, while the forests have burning as long as there have been forests. Much of this burning was intentional, as the indigenous Chinook, Kalapuya, Molalla, Wishram & Wasco peoples all used fire as a key management tool to cultivate shade-intolerant understory plants and fungi used for food, fiber, and medicine, as well as browse for deer & elk. Accepting fire as a necessary part of our forest ecosystems will take shifting both dominant culture and federal policy. It will mean pushing back on the false narratives that fire is a major carbon polluter, or a disaster for forests. It will mean undoing over a hundred years of colonial assumptions about how best to manage the forest. It will mean re-writing the Mt. 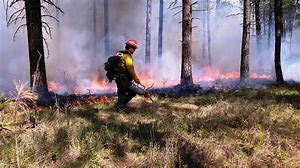 Hood forest management plan to include new provisions for wildland fire use and prescribed fire. If we can bring about these changes, it will also mean more ecological and cultural resilience for all those who live with the forest. P.S. On Sunday June 3 from 9am-6pm, the Rosehip Medic Collective will be leading a free first aid training geared towards Bark volunteers who spend time in the forest. You must RSVP for this training. Contact Michael at 503-331-0374 or michael@bark-out.org.